worth the pain to get the moments you’ll treasure forever. 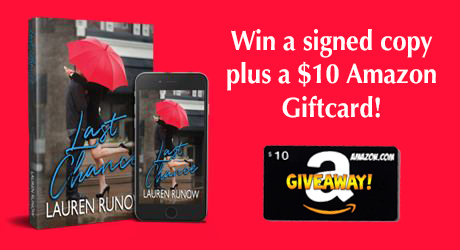 Last Chance by Lauren Runow is a heatbreakingly emotional tale that will be your next ugly cry read that will give you all the perfect feels wrapped in a love story for the ages. I love when I can’t completely predict a story-line and this was one that had me for a bit and throws you for a couple loops while playing out. 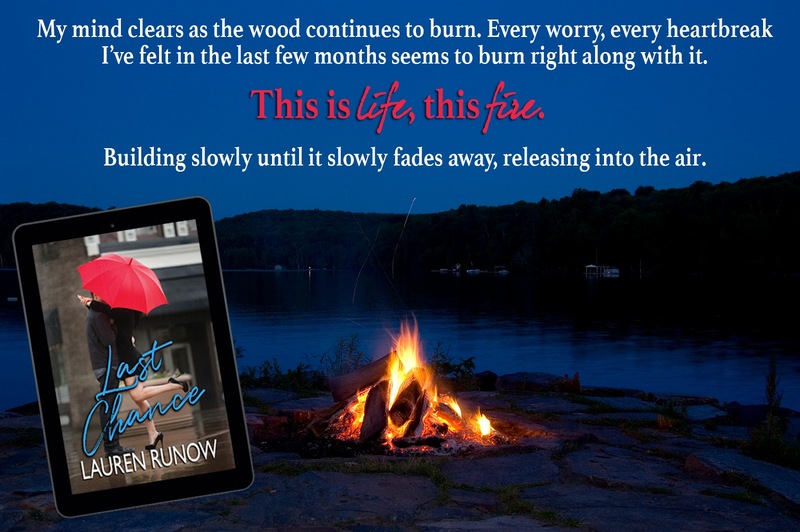 Mackenzie has been in love with her best-friends brother since she was a pre-teen. There comes a time in everyone’s lives that it’s time to take a chance at your fantasy. 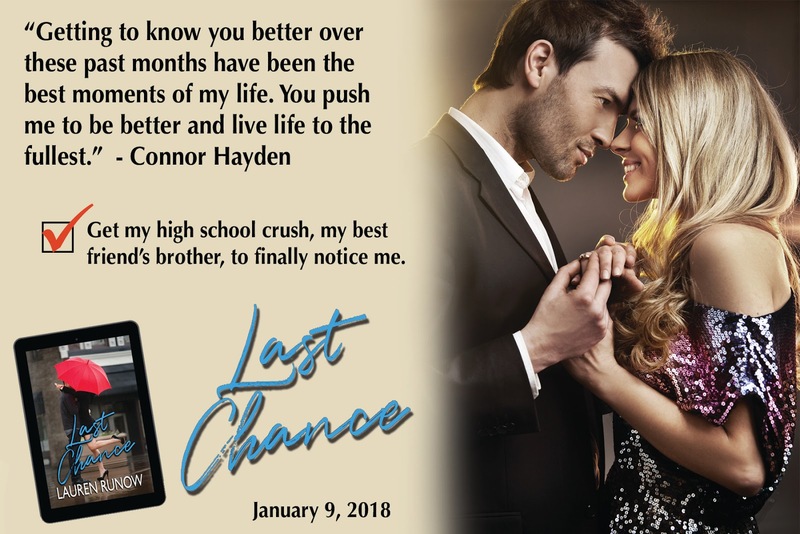 Connor has always been focused on his career, especially after getting mixed up in a love triangle and losing out to his best friend. 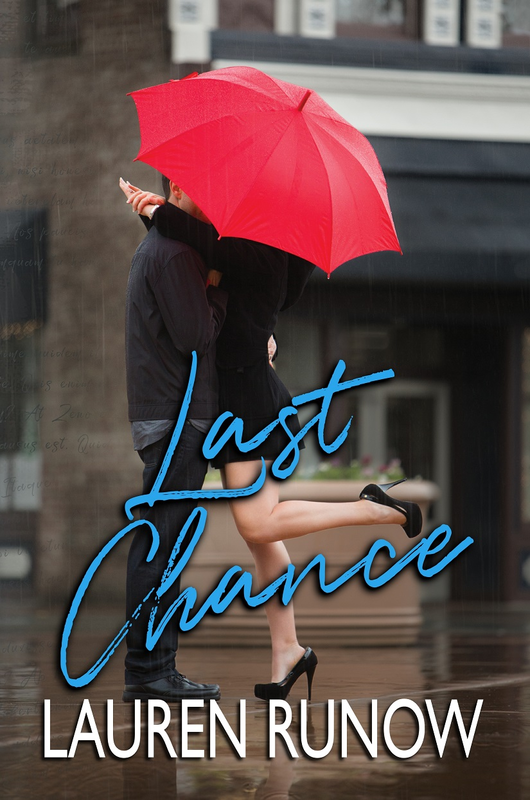 When he meets a stunning stranger and spends an extraordinary evening he never expects that’s she’s Mackenzie and his sisters best friend.